Henry: "Uh oh - here comes Momma with Nasty Christmas Hats." Zachary: "Don't make eye contact. Maybe she won't notice us." Oh, you are going to look adorable. Zachary: "Oh, wonderful. Really. Who needs to swallow." Fine, we'll ditch the chin straps. 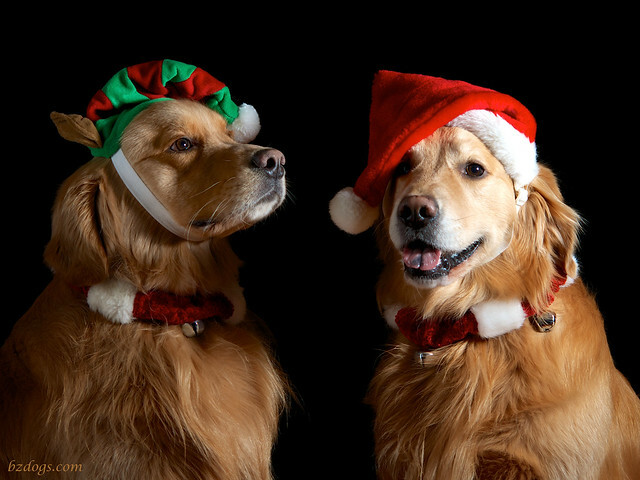 Ah yes, 'Tis the season to Deck the Dogs with Christmas Costumes. 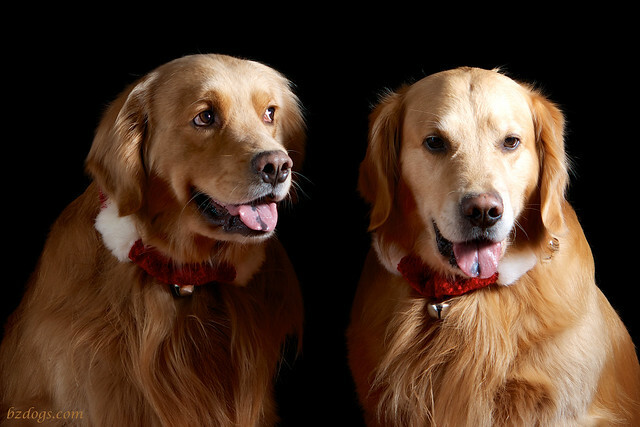 Normally, they boys run around completely naked except for walks (collars required) and photo shoots. Which of Santa's Lists Are You On? 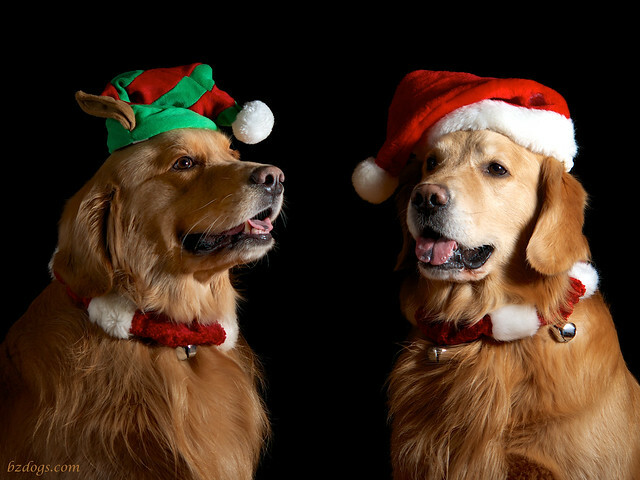 Doesn't dressing as Santa's Helpers get you immediately on the Nice List? Our Daily Challenge - December 7, 2013 - "Something You Wear"
Daily Dog Challenge "768. Which List Are You On"
Henry: "Next time, I'm Santa and YOU are the elf." 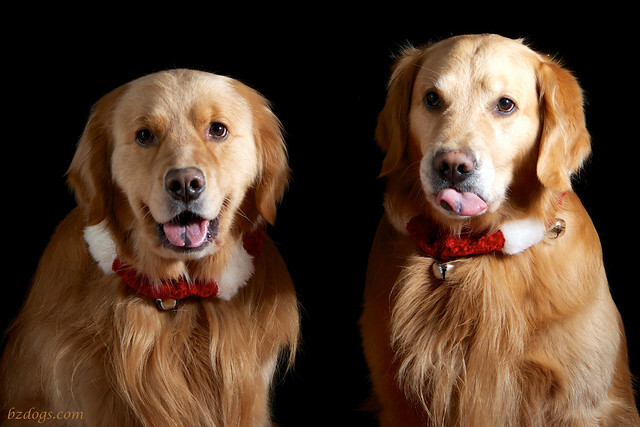 Looking well festive dudes. Have a serene Sunday and get in some big easy today. Henry is possibly the cutest elf I have ever seen! I love their hats!